Its Day 4 here at the 2017 CUPE National Convention and the morning didn’t disappoint.? Resolution C8 hit the floor and it took the whole morning to hear debates and vote on C8. This particular resolution brought a lot of passion out of the members both for and against, with emotions running high. After hearing all sides of the debate, and once the votes were counted, the resolution was defeated, only 50.6 voted in favour, and a majority vote of two thirds was required.? The actual numbers were 953 delegates were for the resolution and 930 were against. The afternoon brought forward more resolutions, and elections and Dalila Awada spoke this afternoon on issues related to Islamophobia. Besides being a lecturer and a blogger at Voir, a cultural magazine, she also co-founded the Fondation Paroles de femmes foundation in 2014. The organization’s mission is to make the voices of racialized women heard through various projects and events. As the day winds down, I can’t say I am sorry as I am tired.? What a week full of information, meeting new people and trying to get as much sight seeing in during breaks as I can, I am almost ready to go home.? Thankfully it looks like it will be a quiet night, so I will get a good nights sleep to prepare for Fridays agenda. 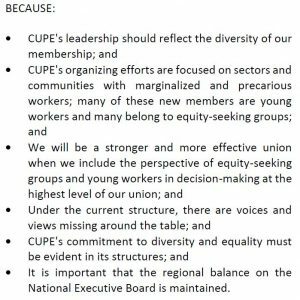 Coming from Gibsons, a sub-local of CUPE 391, it isn’t always easy to connect with members and executive from from 391.? 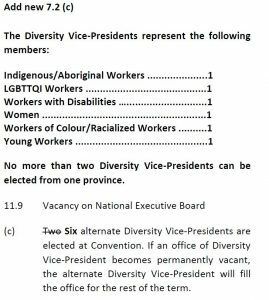 However I had a chance to do just that this week with the four people from the VPL executive that were sent to CUPE National this year on yours and my behalf.? 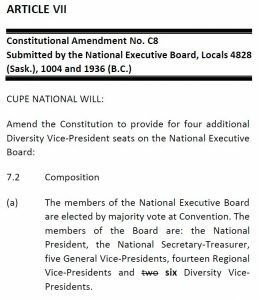 I am even more proud after this week to be part of CUPE local 391.